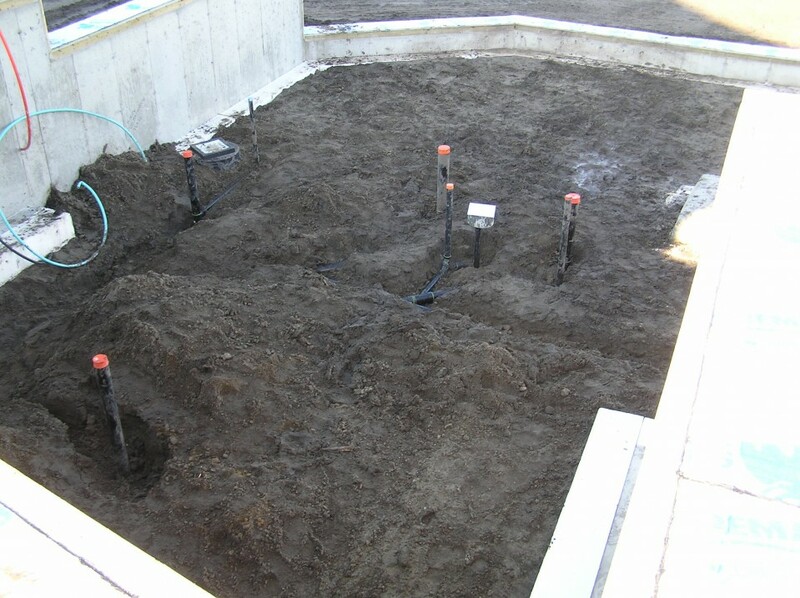 With the foundation more or less waterproofed, the next step is installing foundation drainage (i.e. 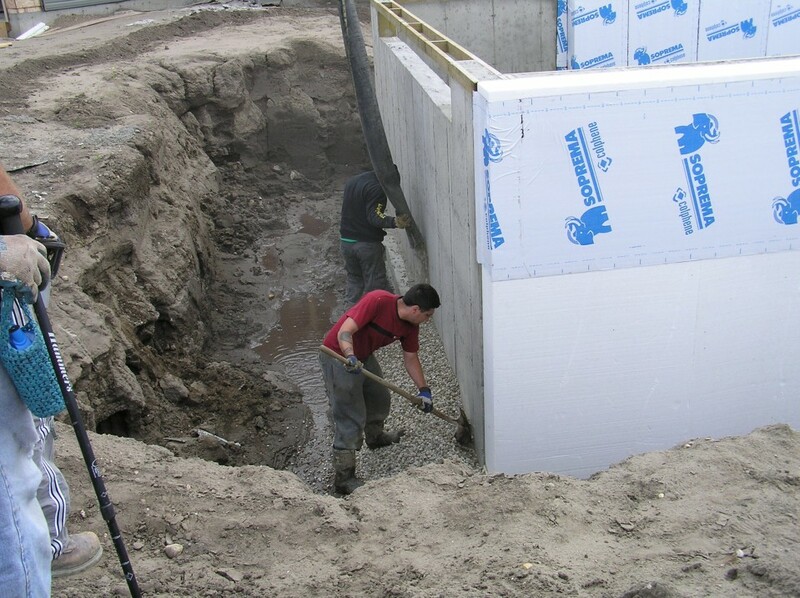 weeping tile/drainage tile), backfilling, and getting plumbing installed up to the level of the basement floor. 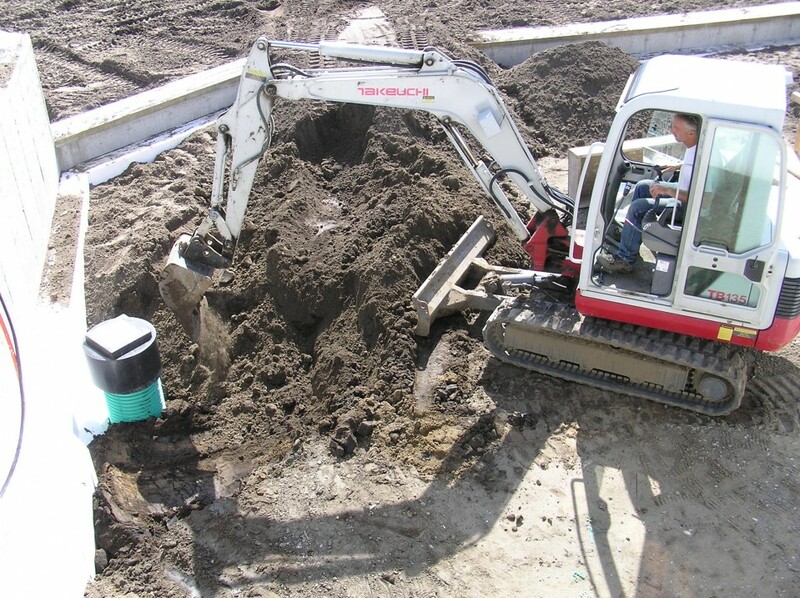 These are not exactly the most glamorous parts of the construction, but they are important nevertheless. This is the weeping tile being installed along the northwest side of the garage and house. 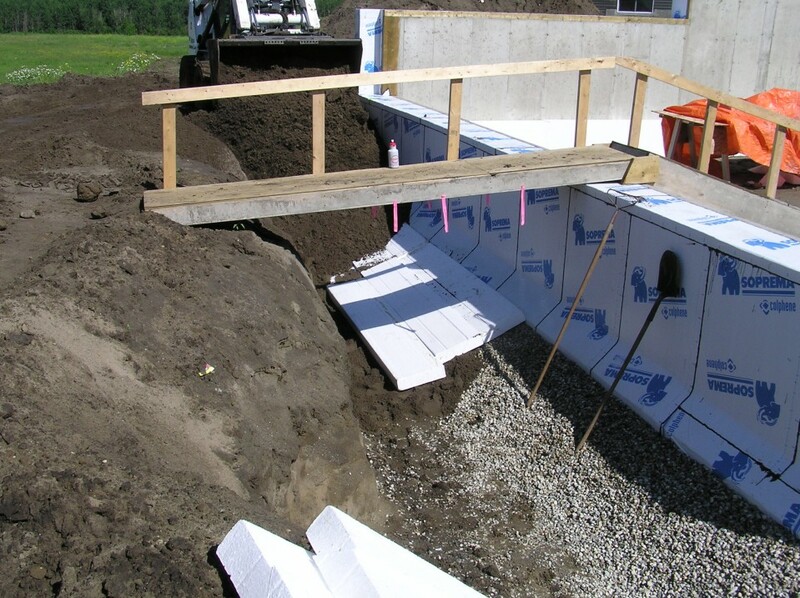 We added the additional insulation along the garage to buffer some of the thermal bridging where the garage foundation connects to the house, and also to achieve a consistent exterior face for when the siding goes on eventually. 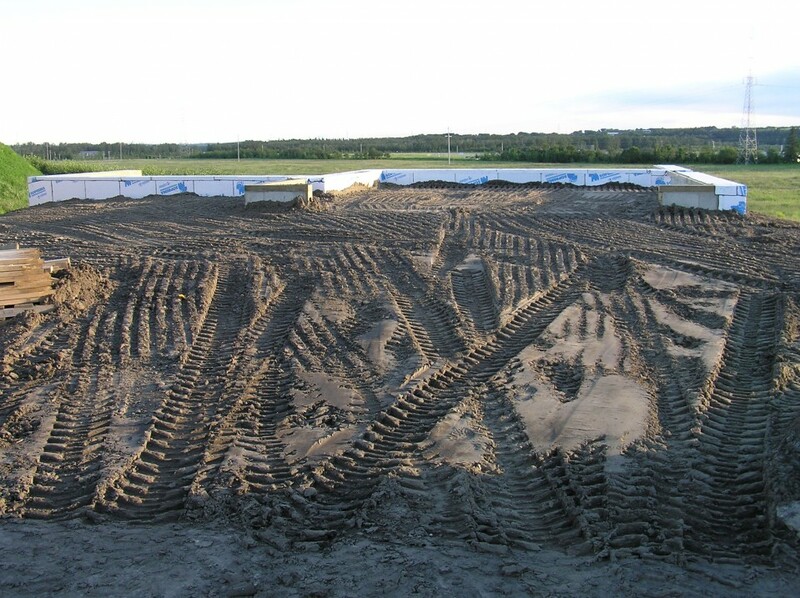 A view of the southeast wall, where the weeping tile and gravel installation is complete. 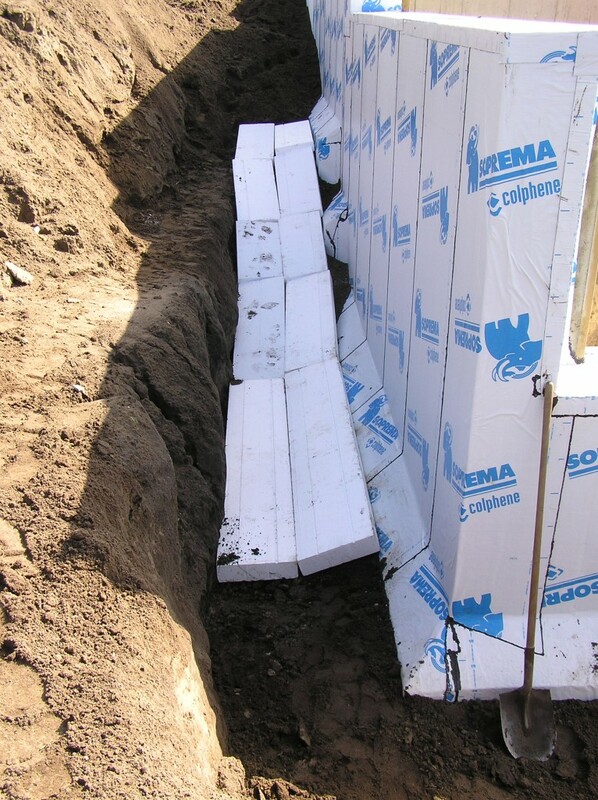 As mentioned in an earlier post, the shallow foundations around the back of the house require adding an insulation “skirt” in locations where the backfill will be less than about 6-7 feet. 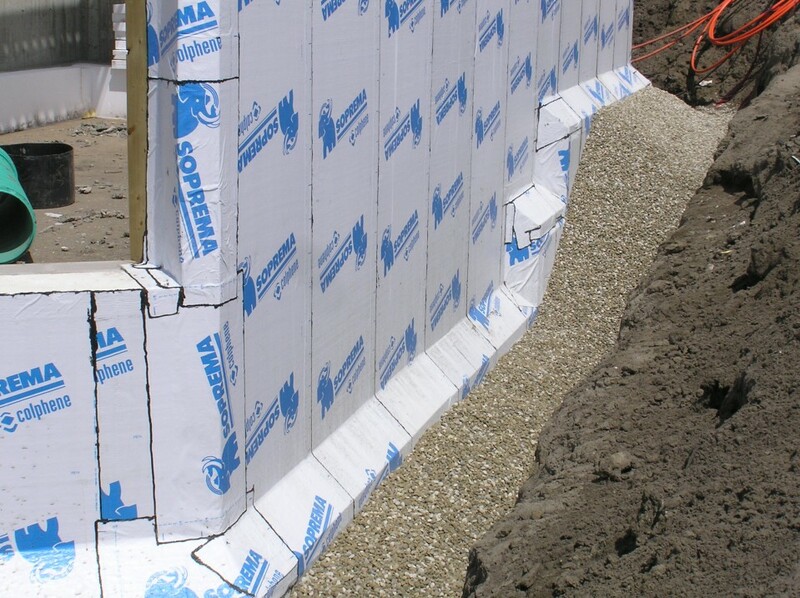 This is a good photo showing the sequence of events: weeping tile and gravel, insulation skirt, then backfill. 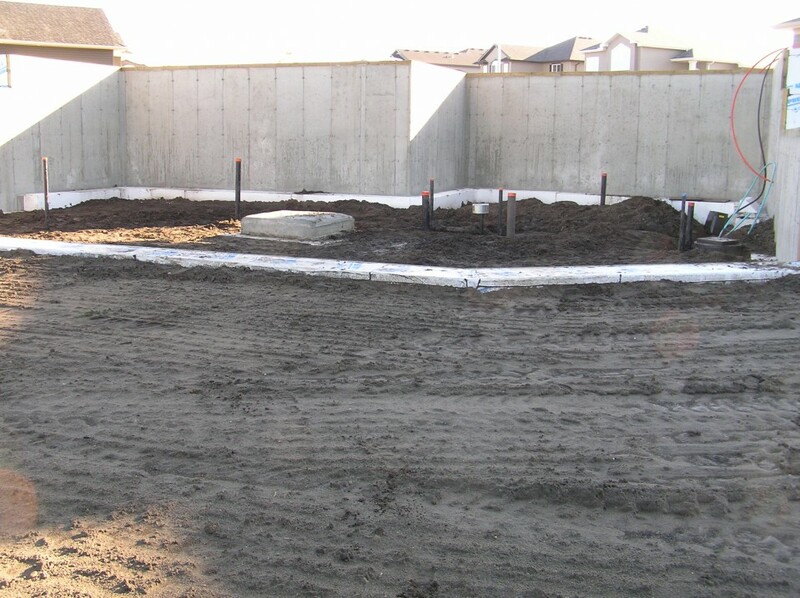 Photo showing completed backfill from the front of the house, with the attached garage on the right. 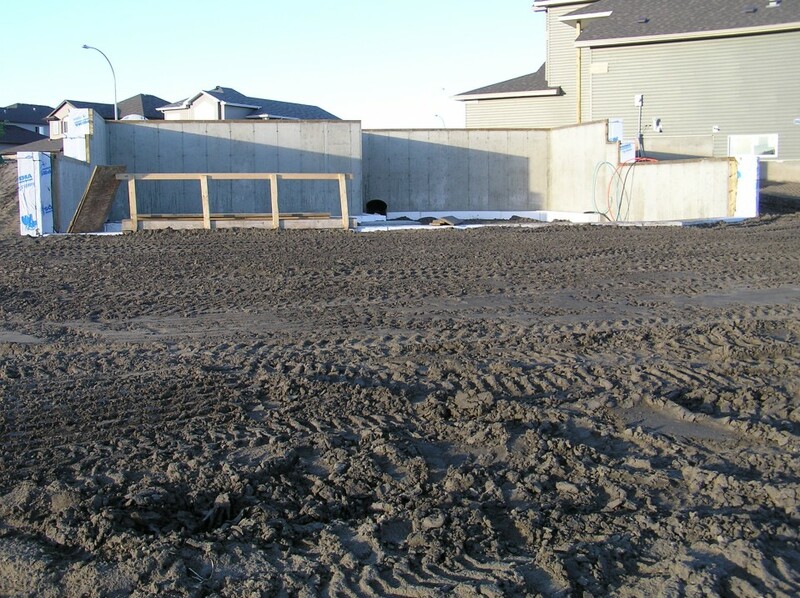 Backfill and rough grading complete on the walk-out side at the back. 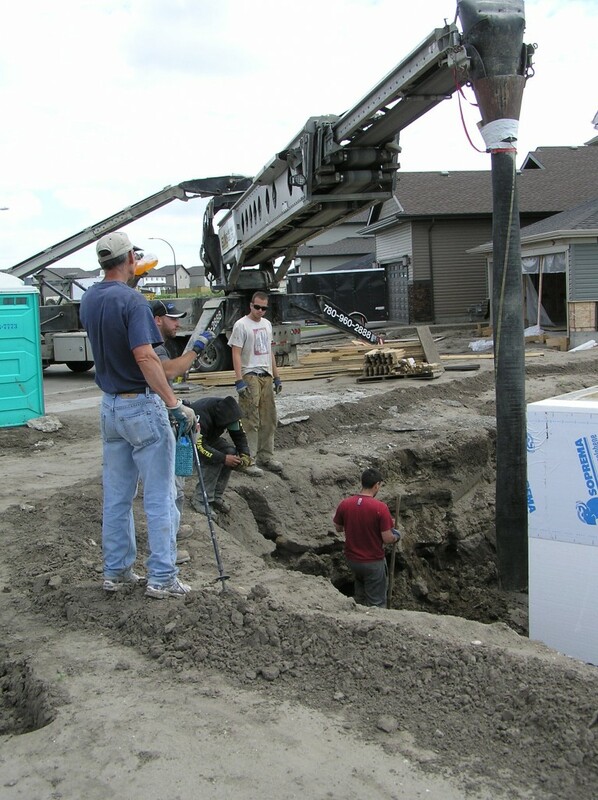 And a few images showing where the basement plumbing has been installed. It’s always a little tricky to get these things in the right place without the rest of the house there, so hopefully it works out! More plumbing from the basement walk-out side. Beautiful Blog. Love the attention to detail. I’m a little confused by the lack of insulation on the front of the garage foundation but still having insulation on the sides. 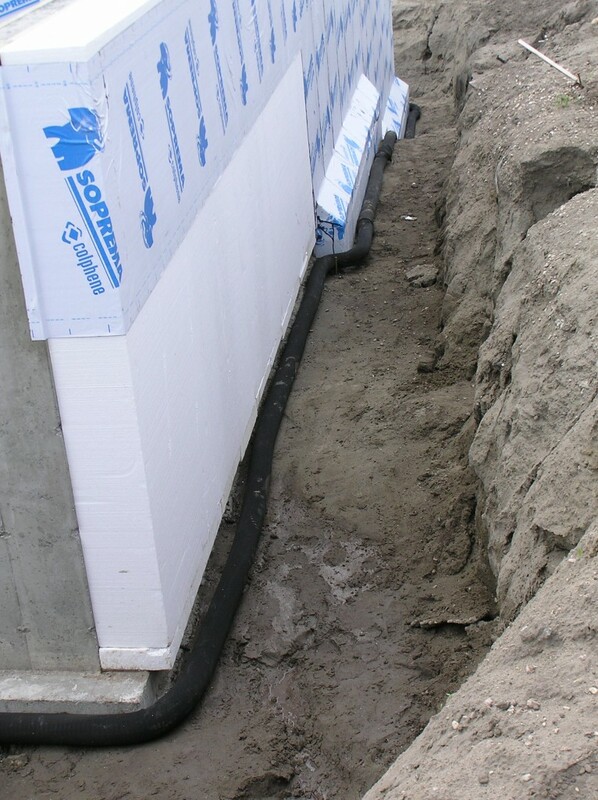 Won’t the concrete wall itself provide a thermal bypass rendering the side insulation somewhat less useful?